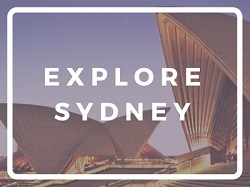 There are many famous attractions in Sydney: the Opera House, the Harbour Bridge, the expanse of white sand at Bondi Beach. But you might not realise there’s also an abundance of natural beauty to discover and a huge choice of amazing Sydney walks. 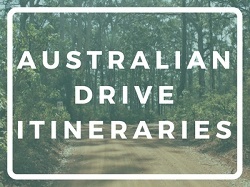 You don’t have to venture far beyond the city skyscrapers to find hiking trails in Sydney, including craggy coastal walks, harbourside paths and bush walks so green it’s hard to believe you’re in Australia’s largest city. 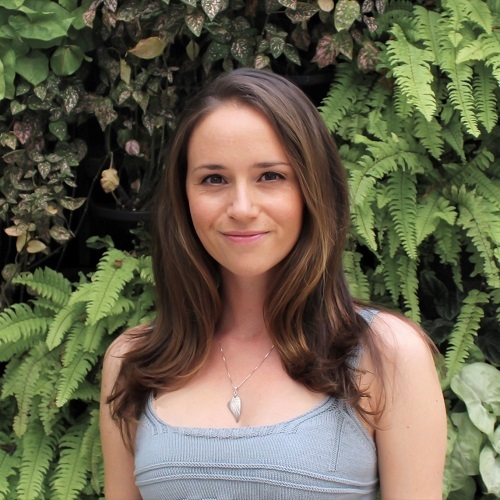 When I first moved to Sydney I joined a walking group to try and meet like-minded people. I couldn’t believe it when we entered a bush track only slightly north of the CBD. Since then one of my favourite weekend activities has been getting outside and discovering new hiking trails. 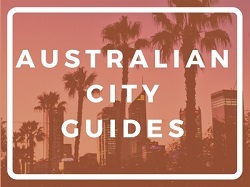 If you fancy going walking here too but don’t know where to start, here are my recommended 15 best walks in Sydney. 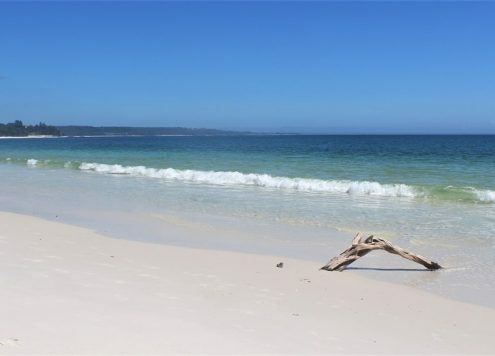 They include harbour paths, bushwalks and of course beautiful coastal walks. Enjoy! The Bondi to Coogee walk is one of those rare hyped-up tourist attractions that isn’t over-rated. It can get pretty busy, as it’s so well known, but the amazing views of the turquoise ocean and beachside houses from the coastal path make it all worthwhile. You can also relax with a drink or meal at famous Bondi Icebergs afterwards, overlooking the beach and pool. This beautiful Middle Harbour walk from the Spit Bridge to Manly Beach is another well-known route, but about twice the distance of Bondi to Coogee. You’ll pass a mixture of scenery along the leafy track, including hidden beaches and sweeping harbour views. Plus you can finish off with a well-earned meal in Manly and get the ferry back to the city for a scenic ride home. 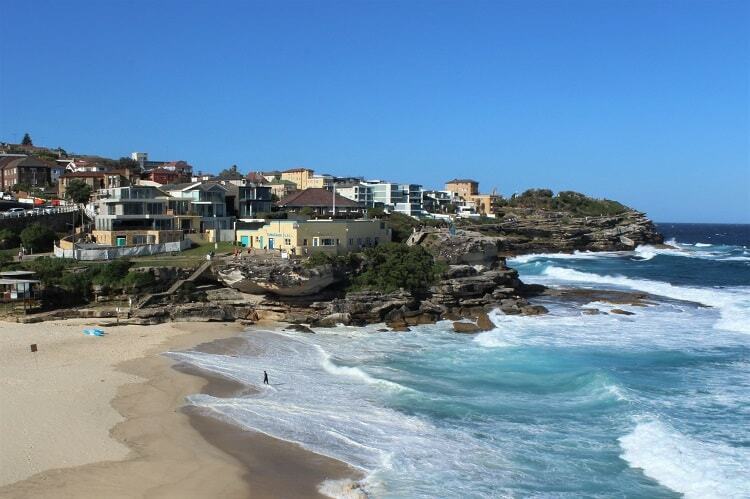 For a quieter Bondi coastal walk head north instead of south, and head up to Watsons Bay. You’ll have to veer away from the coastline at times and make your way past some houses, but the majority of the walk offers stunning birds-eye views of the ocean from the Federation Cliff Walk. Getting those Instagram shots at Diamond Bay Reserve! 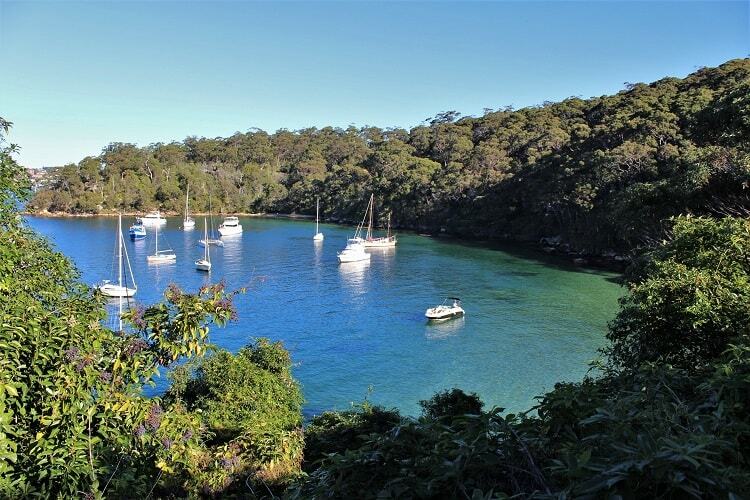 Another of Sydney’s harbour walks is the beautiful Hermitage Foreshore Track that runs from Shark Bay at Neilson Park in Vaucluse to Bayview Hill Road. You can then continue on to popular Rose Bay. 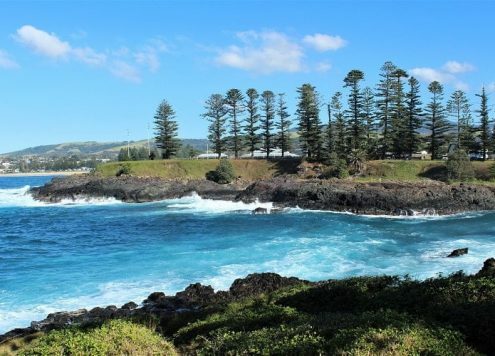 The leafy track passes a few small beaches such as Milk Beach, which has great views of the city, as well as lookout points and the historic Strickland House. Here’s a Sydney walk I stumbled upon by accident when I got on the wrong bus once! 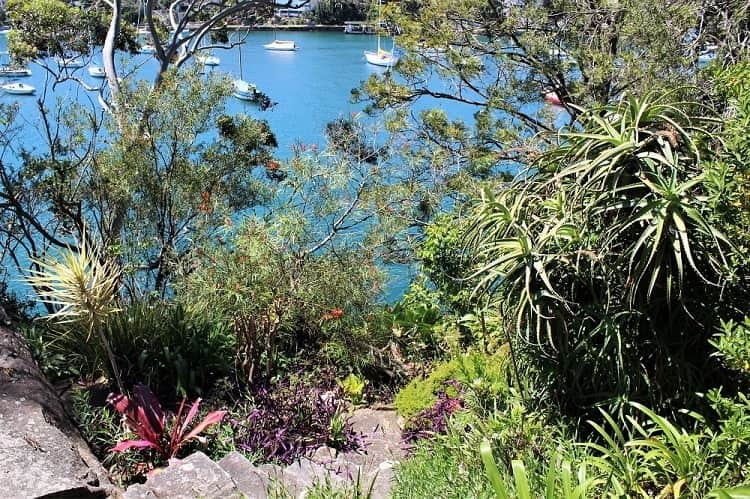 This easy and mostly flat walk around Cremorne Point starts at Mosman Bay Wharf, and passes a lighthouse, historical mansions, Lex and Ruby’s secret garden and reserves with great city views. The short ferry ride from Circular Quay is scenic in itself. You can either catch a bus or ferry back from Cremorne Point, or continue up the western side of the point past MacCallum Pool and cut back across to Mosman Bay. 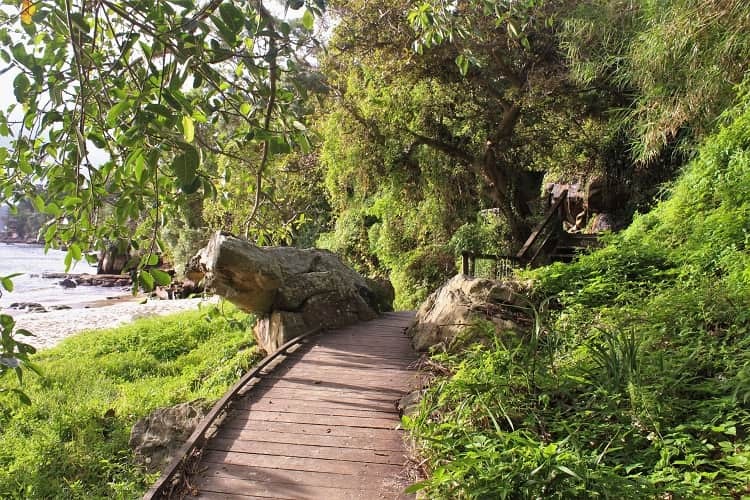 This is a really interesting and varied walk that’s very close to the city. 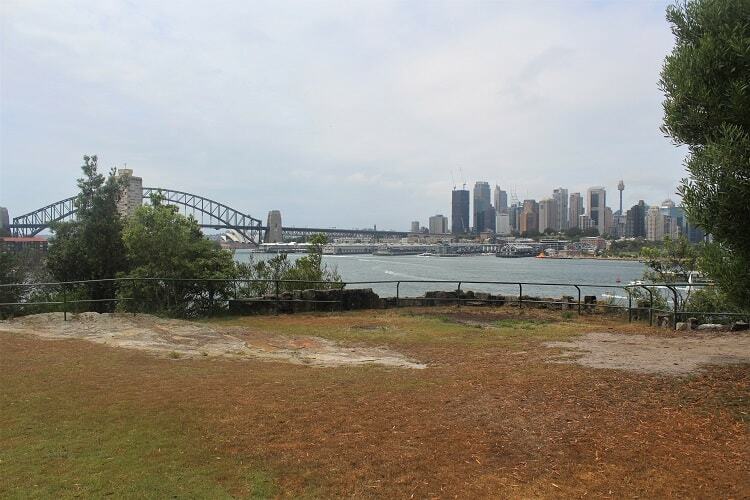 You’ll pass through natural bushland, see fantastic views of the city and Sydney Harbour Bridge and learn lots about Sydney’s industrial past at the revamped Coal Loader and old BP site. 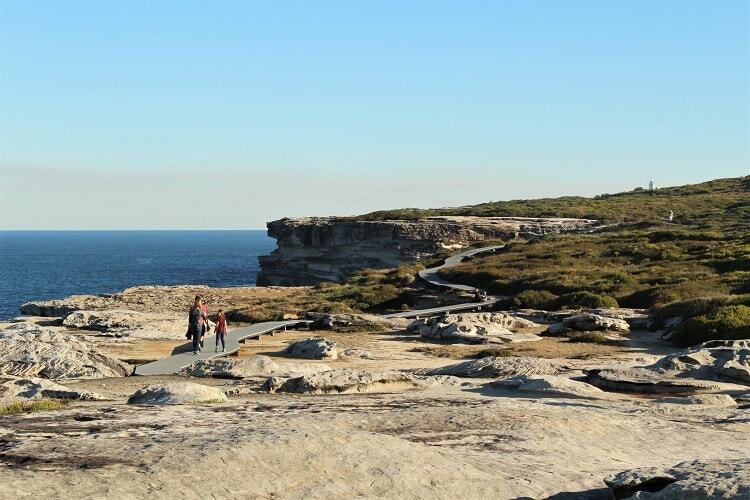 Balls Head Reserve itself has walking tracks through the beautiful bushland, as well as toilets, free parking and barbecues. You can also walk along Balls Head Drive instead and follow a short path at the end to the great picnic area in the picture below. Yet another beautiful Sydney harbour walk is the track from Taronga Zoo to Balmoral Beach. It’s a fine example of the natural bushland that still exists on the Lower North Shore. You’ll be rewarded with city views from the amphitheatre at Bradleys Head before passing gorgeous spots like Taylors Bay in the picture below. 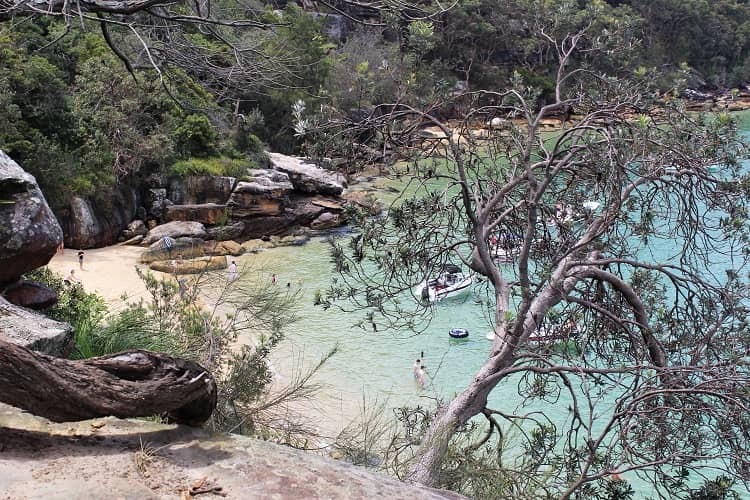 Balmoral Beach is also one of the best beaches in Sydney in my opinion, so allow some time to stop for a rest, coffee or fish and chips at the end! If you fancy losing the tourists and getting out in the bush, the Forest District to the north of the CBD is a great area to explore. 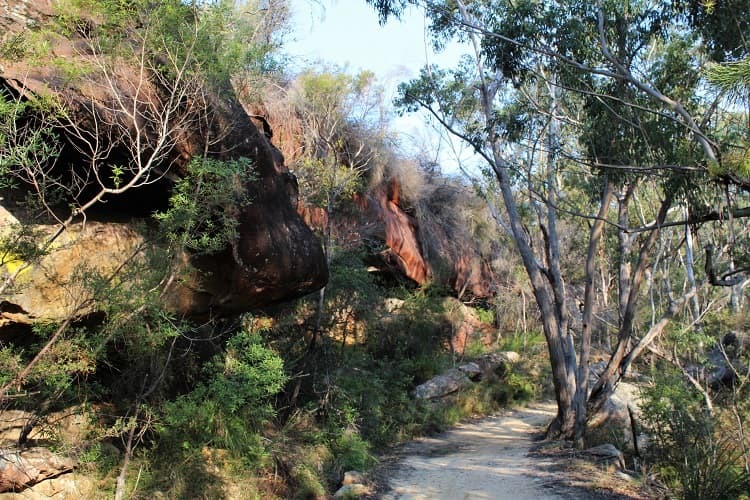 Garigal National Park has quite a few biking and hiking trails, but I followed the Cascades Track from St Ives, which passed through beautiful areas of bushland before opening out onto the flat rocks at the cascades, which was perfect for a picnic. 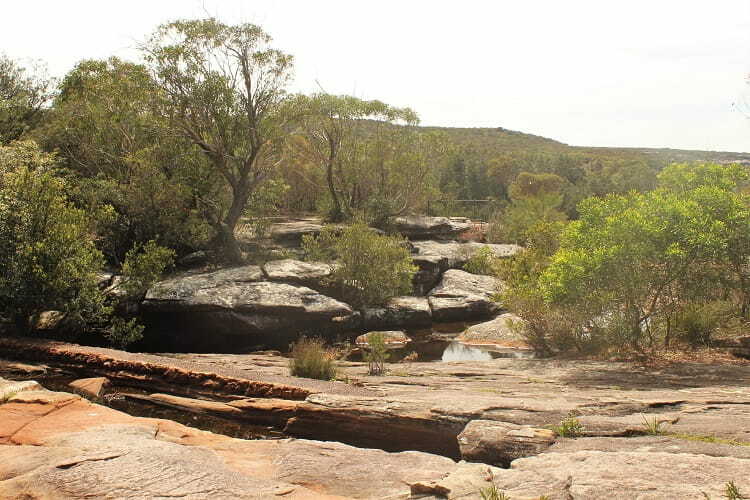 In the north-west region of Sydney lies the Hills District, another fantastic area for bush walks. 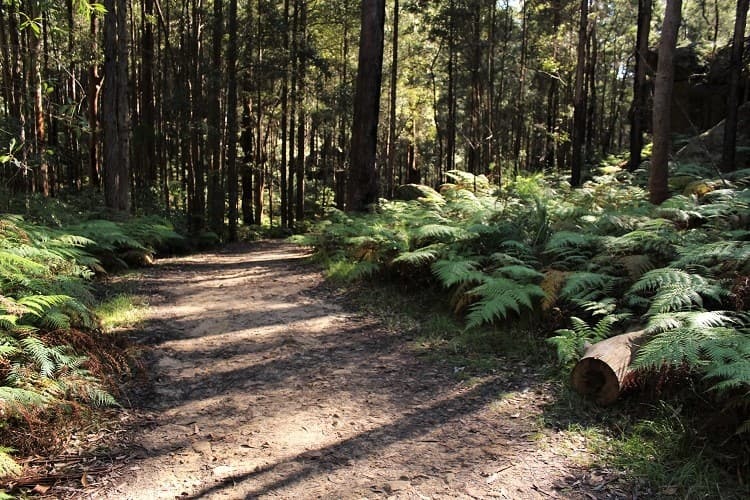 Drive or get the train up to Hornsby, and you’ll find walking tracks into Berowra Valley Regional Park starting from the picnic area at the end of Rosemead Road. Here’s a detailed map and route of the Blue Gum walk, but there are other tracks to choose from. Note that the walk from the train station to the picnic area is a very steep descent! 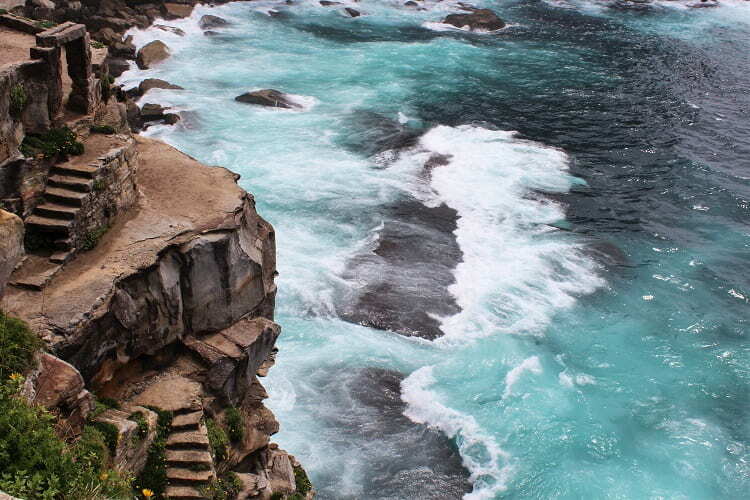 This is one of the more well-known walks in Sydney, since Palm Beach, the filming location of soap opera Home and Away, is a popular place for tourists to visit. The short walk up to Barrenjoey Lighthouse is steep, but well worth it for the stunning view of the peninsula, Pittwater and Ku-Ring-Gai Chase National Park. The flat, 7km loop known as The Bay Run is easy to reach from the city: just hop on one of the many buses that run down Victoria Road in the Inner West and get off at Iron Cove Bridge in Rozelle or Drummoyne. 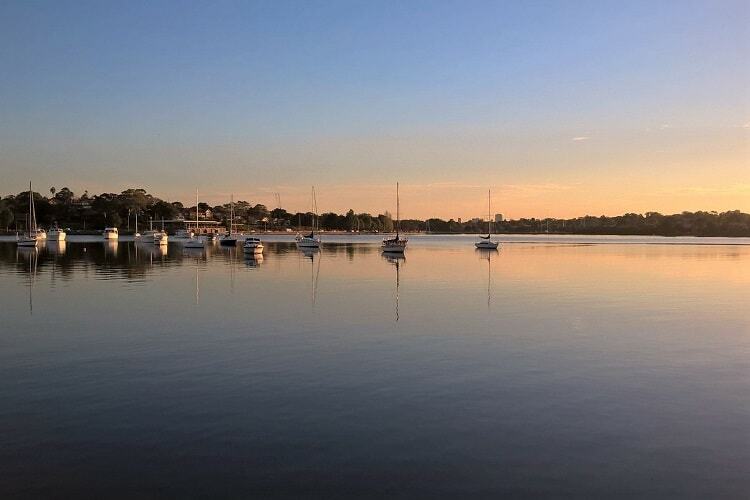 The Inner West isn’t known for its bush tracks like the Lower North Shore, but this open pathway circling Iron Cove is popular with runners, walkers and cyclists and offers scenic views across the water. The sunset view from Leichhardt Park or the bridge itself is amazing too. 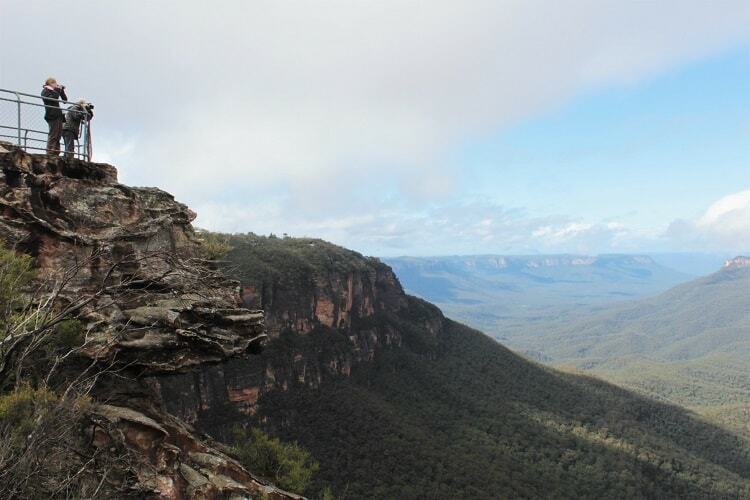 The Blue Mountains region has an enormous number of walking tracks to choose from, but if you want to avoid the crowds that flock to Echo Point and Wentworth Falls, try the eastern section of the Prince Henry Cliff Walk from Gordon Falls to Leura Cascades. 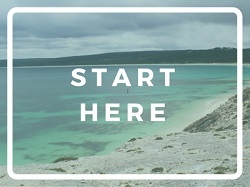 One of my favourite walks in Sydney is the Cape Baily Track in Kamay Botany Bay National Park, down in Kurnell. It’s a bit of a mission to get there compared to the harbour walks, but the cliffside scenery is so peaceful and unusual you feel a million miles away from the city. A trip to Sydney isn’t complete without a visit to the Royal National Park, which lies on the southern edge of the city. 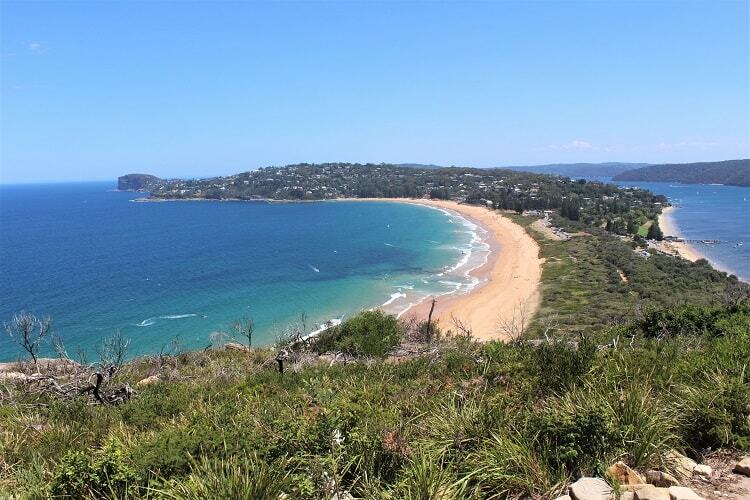 Wattamolla Beach is easy to reach by car, and has picnic facilities as well as a lagoon. 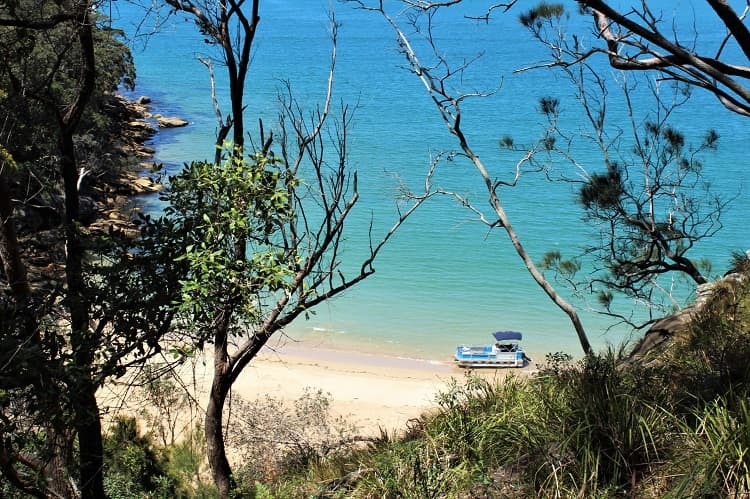 From there you can join onto the Royal Coast Track that stretches all the way from Otford to Bundeena, and walk as much or little as you like. Read more about Wattamolla Beach below. Royal Coast Track from Wattamolla Beach Distance: 650m from the car park, then as long as you want! 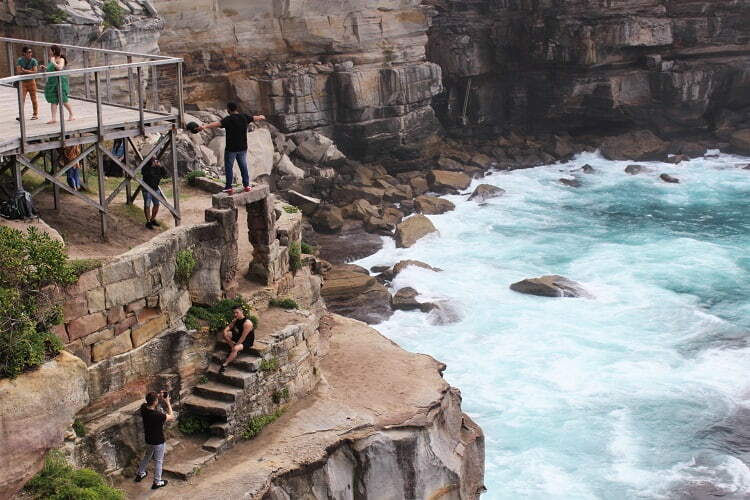 This is one of my absolute favourite walks in Sydney; I was blown away when I found it. You’ll need to either catch the ferry to Mackerel from Palm Beach, or drive to West Head Lookout, so it does take a bit of planning. 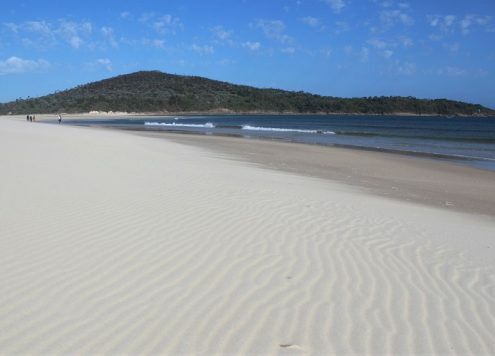 The views from the walking track in Ku-Ring-Gai National Park are amazing though, and you’ll pass gorgeous beaches like Resolute Beach below. It feels more like the Mediterranean than part of a major city!